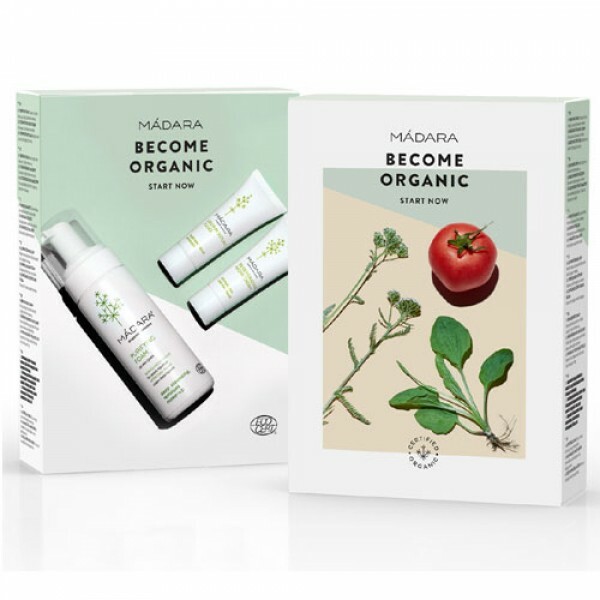 Face Wash, Day & Night cream are all sorted with this Limited edition Become Organic set from Madara. It contains the most loved products from Madara organic skin care range with a combined value of £39. Madara Purifying Foam 150ml (full size): Removes make-up and dirt, clears out pores. Cleanses without drying, safe to use around eyes. Our favourite face wash! Madara Deep Moisture Fluid 25ml: Deeply hydrates, firms and softens. Balances oily and dry areas of the face. Nourishes with natural plant vitamins, minerals, bioflavonoids and other biologically active substances. Madara Regenerating Night Cream 25ml: Antioxidant rich organic night cream for all skin types. Works overnight to help stimulate cell renewal and reduce visible fine lines.